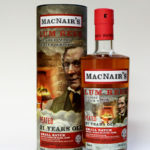 The whisky is named after the Victorian distiller Harvey MacNair who reputedly in the 1860’s developed a peated blend in an old stone bothy near GlenAllachie after a days fishing. 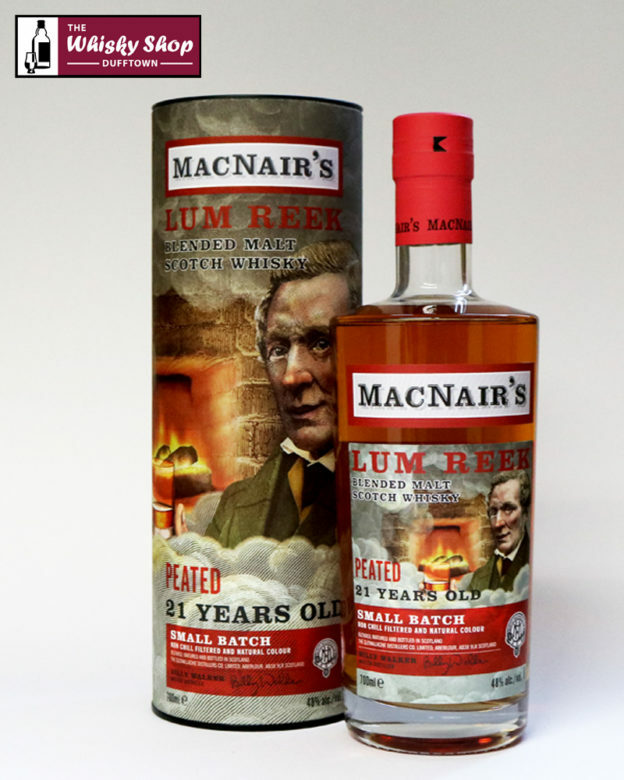 Billy Walker has recreated the same style of heavily peated whisky. This one being 21 Years Old. The whisky is named after the Victorian distiller Harvey MacNair who reputedly in the 1860's developed a peated blend in an old stone bothy near GlenAllachie after a days fishing. Billy Walker has recreated the same style of heavily peated whisky. This one being 21 Years Old. Distillery: Aristocratic peat smoke with dark chocolate and fudge. Distillery: Tobacco, leather, cedar wood and waves of peat reek with oodles of cocoa, vanilla, honey and spices.